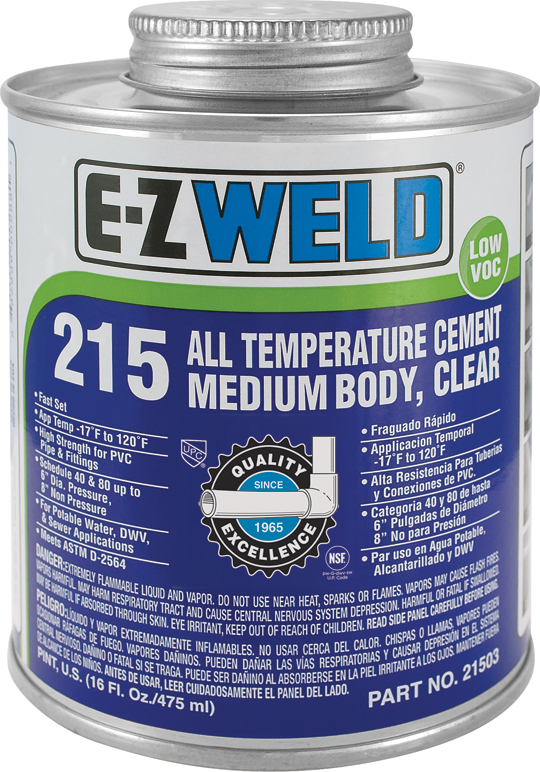 E-Z Weld’s mission is to offer consistent products with uncompromising quality through continious improvement and innovation. 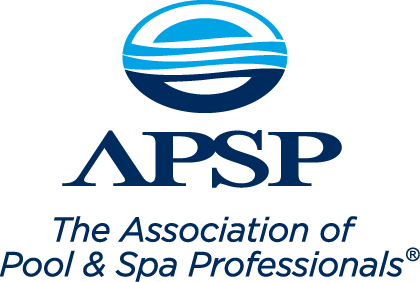 To exceed our customers expectations with personalized service. To provide a clean and safe work environment while ensuring respect for and empowerment of our employees. To always conduct business ethically, responsibly and honestly. 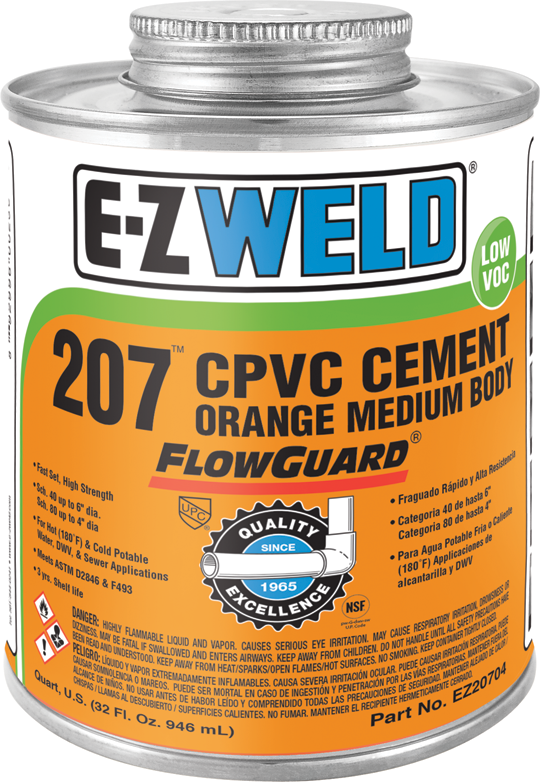 E-Z Weld makes a broad range of high-strength PVC, CPVC, and ABS solvent cements, primers, cleaners, and thread sealants ideally formulated for a variety of pipe joining applications call +1 (800) 327 8460 to learn more. 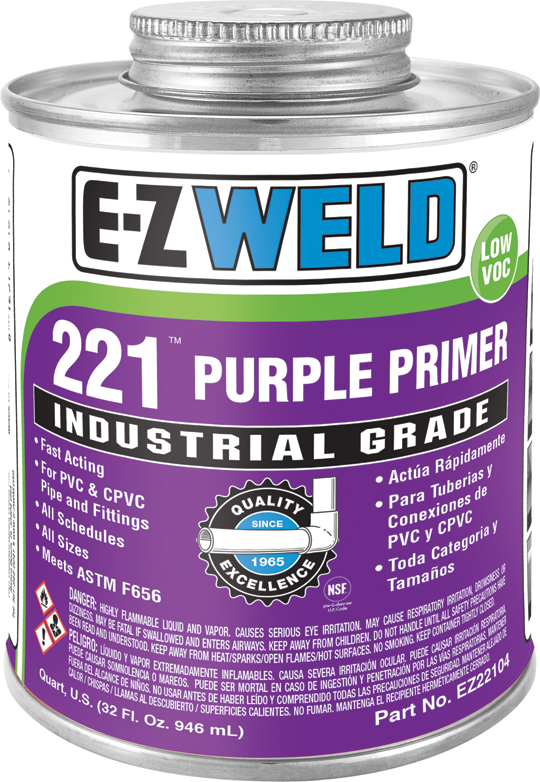 Does Primer need to be used for industrial applications? 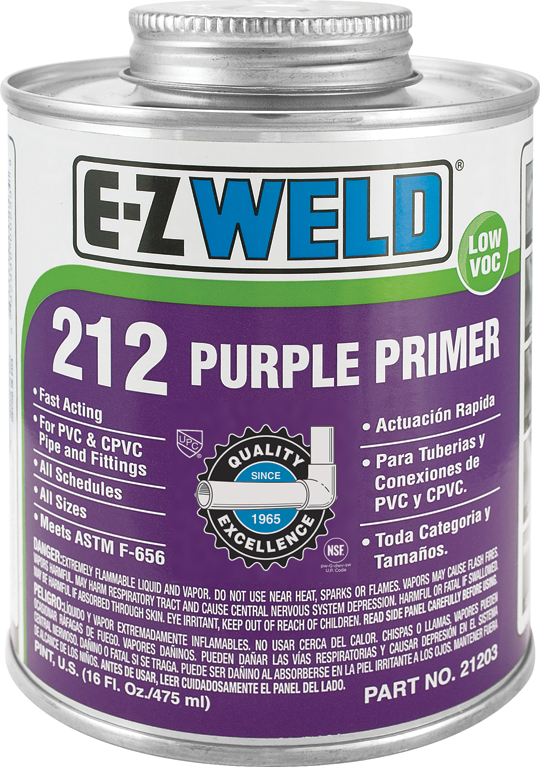 Yes, Primer is recommended for all large diameter and SCH 80 applications. 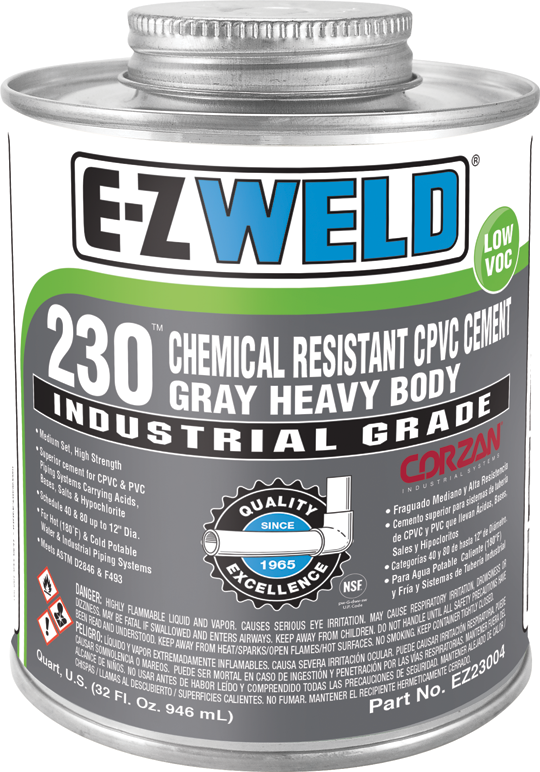 Does E-Z Weld products work for chemical applications? 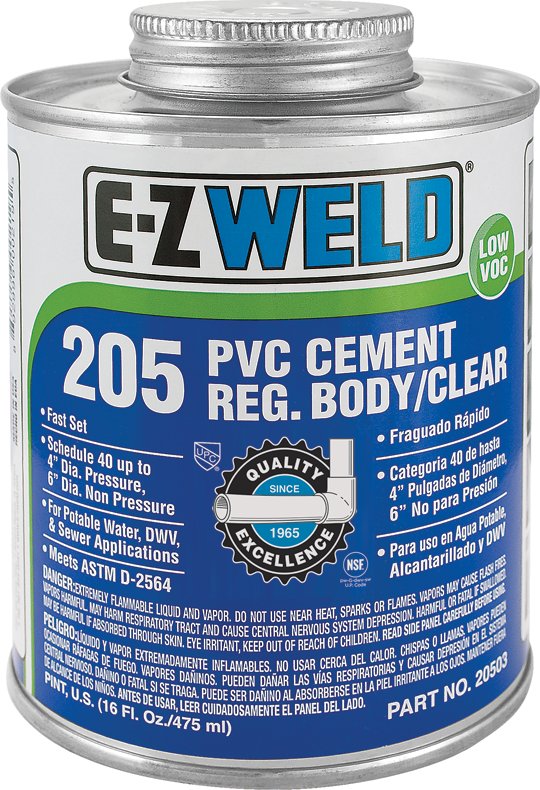 230 can be used on PVC and CPVC systems. It can be used when requiring chemical resistance to caustics including hypo chlorine, mineral acids, and aqueous salt solutions. Do you have a FlowGuard Gold cement? 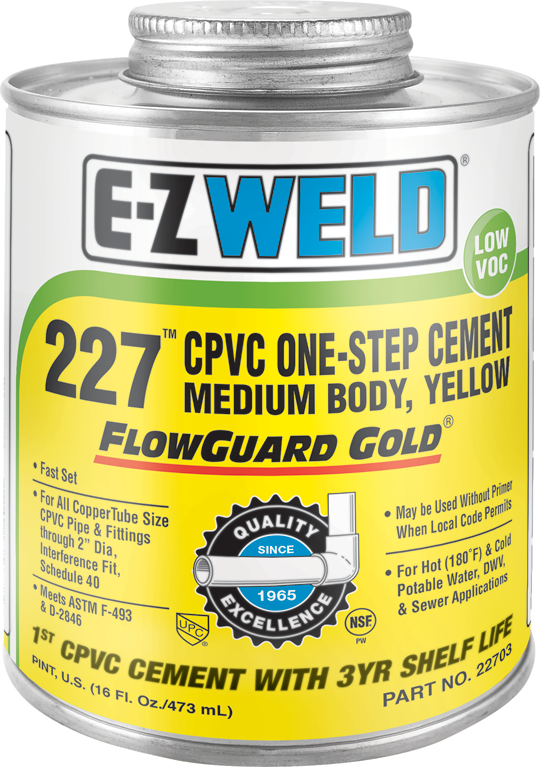 Yes, 227 FlowGuard Gold CPVC, One-Step Cement can be used for up to 2” CPVC copper tube size piping systems. 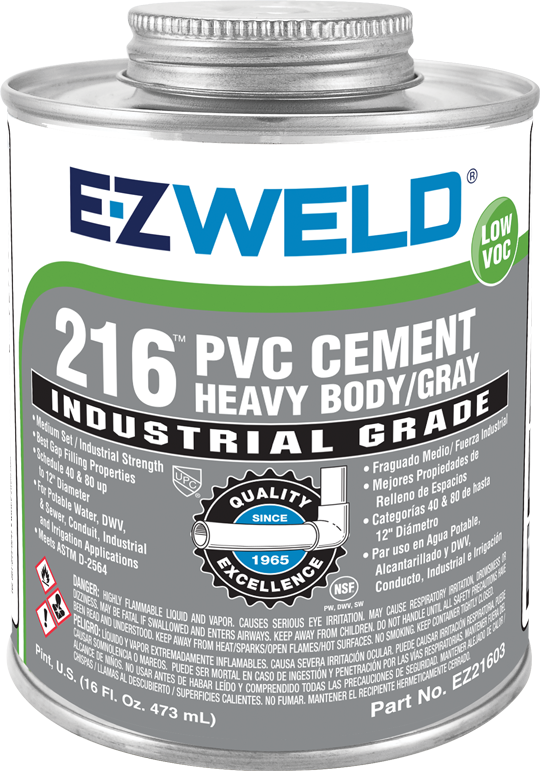 Do you have a cement for 12” CPVC pipe? 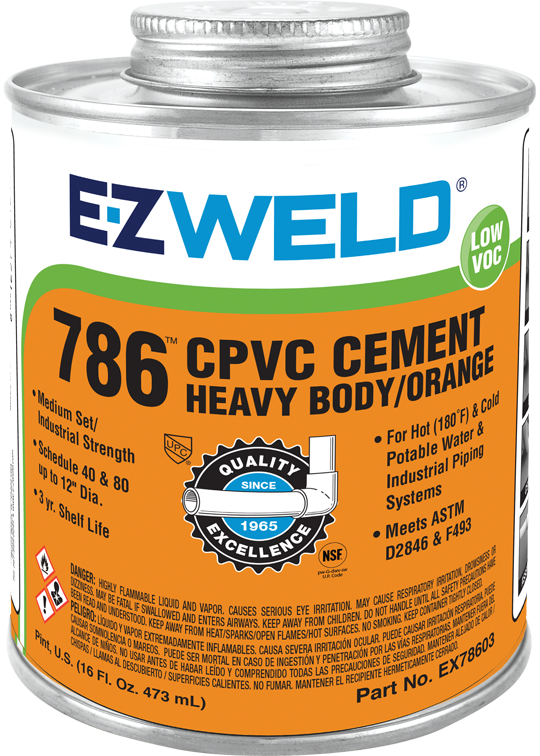 Yes, our 217 Heavy Body Gray and 786 CPVC Cement Orange cement can be used for all sizes of CPVC pipe up to 12”. Can 203 Pool Pro Combo be used for flexible PVC applications? 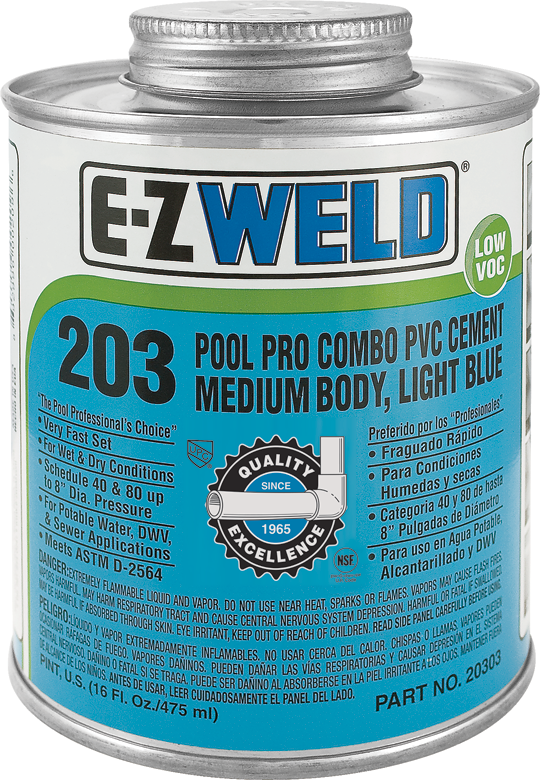 Yes, 203 Pool Pro Combo can be used on flexible PVC. Can 203 Pool Pro Combo be used in wet conditions? Yes, our 203 Pool Pro Combo can be used in wet conditions. 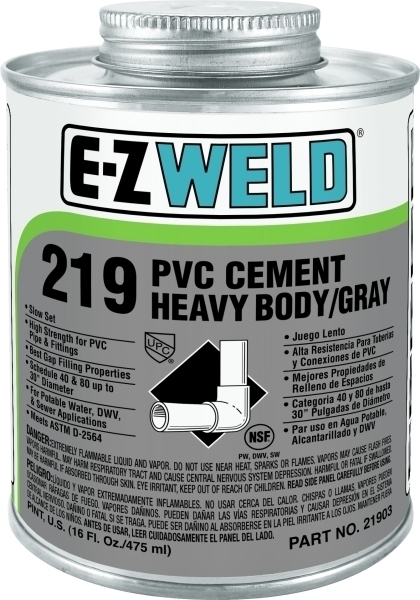 Can 222 Wet Weld be used without primer? 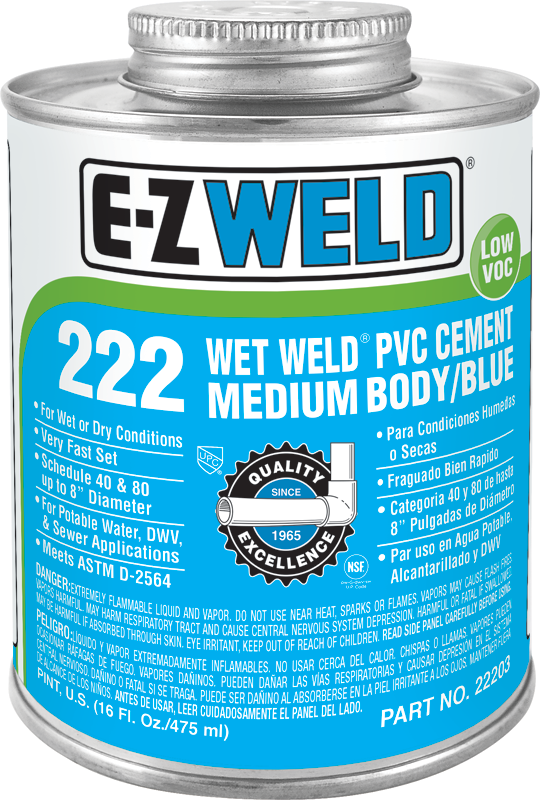 Yes, 222 Wet Weld can be used without primer on non-pressure systems where local plumbing codes permit. 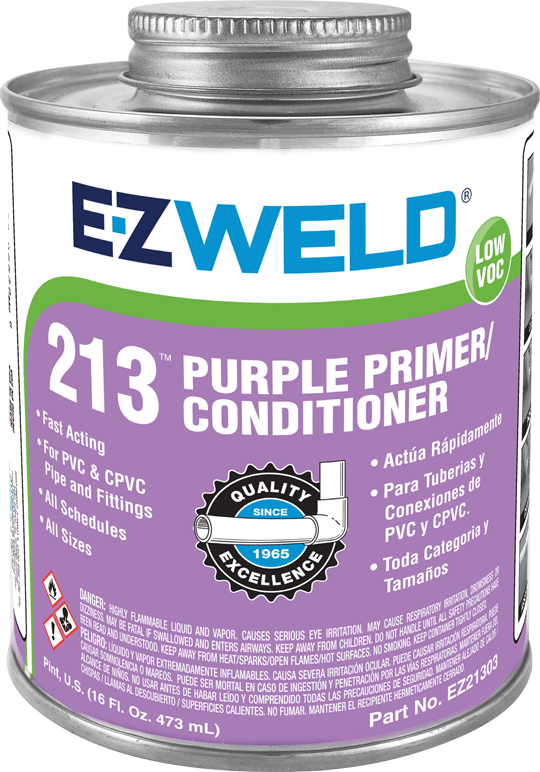 What is the difference between cleaner and primer? Cleaner actually cleans the pipe or fitting when there is a residue that is required to be removed. Primer actually softens the pipe and fitting allowing the solvent cement to chemically bond the joint together.